Ripe butternut squash is known for its creamy, sweet, and nutty taste that's perfect for puréeing and roasting. 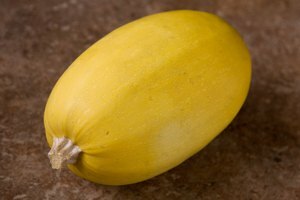 Unripened squash, on the other hand, is bland, hard, and not useful for much. 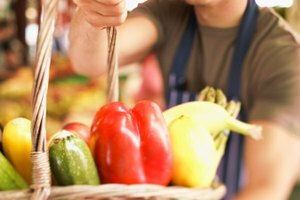 As with most fruits and veggies for sale at the grocery store, though, we can't just whip out a knife and cutting board to crack open the food and check its level of ripeness. Since the butternut squash has a hard, protective shell, it makes determining the quality of the flesh inside tricky. This means that we have to go by these three senses: feel, sight, and touch. 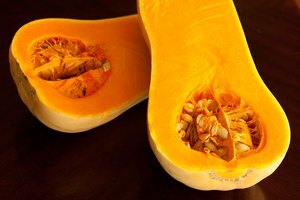 Here's exactly how to utilize them so you can gauge whether your squash will be delicious or a dud. 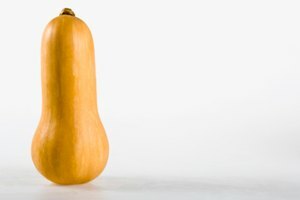 Visual clues can tell you a lot about the ripeness of a particular butternut squash. It should be beige all over, the darker the shade, the better. It should have no green patches. The skin should be mat, not shiny, and free of cuts and blemishes. The weight of a squash can also give indications about its ripeness. It should feel heavy for its size. If you have many squash to choose from, look for the least ripe, greenest one and pick it up. Compare the weight of the squash you're considering to the weight of the less ripe squash. 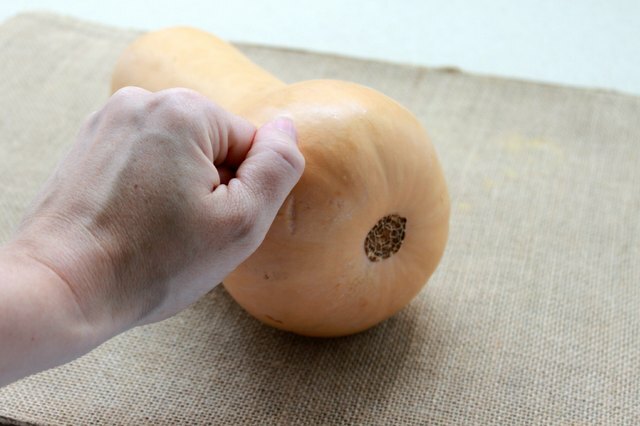 Finally, try gently tapping the squash with your knuckles. You'll hear a hollow sound if it's ripe. Never hesitate at the grocery store again with these tried-and-true methods. 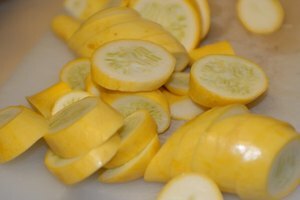 By utilizing them, you're pretty much guaranteeing yourself a perfectly ripe squash, every time. We'll take those odds.